Are metal roofs noisy when it is raining? Metal roofs have the potential to be noisy but only if there is no solid plywood decking and the roof itself is installed directly over the rafters of a home. Most residential builds today will be installed over solid plywood decking with an underlayment, meaning that – in fact – metal roofs are no noisier than any other types of roof, certainly if you use an acoustic underlay between the plywood and the metal. Thanks to innovation in roofing technology, metal roofs can now last a lifetime. With new types and designs of metal roofs, these solutions are extremely durable and long-lasting. Metal roofs have no higher chance of being struck by lightning than any other type of roof. In fact, in two significant ways, metal roofs can in fact be beneficial in the instance of being hit by lightning. Firstly, the roof will help dissipate the electrical charge, and secondly; since metal roofs are non-combustible, they will not be ignited by lightning. How much longer will a metal roof last over common roofing like asphalt? 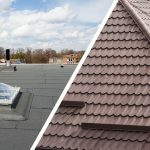 Where asphalt shingles are made of felt or fibreglass, meaning they deteriorate between around 8-12 years, metal shingles are far more impervious to weather and will never decompose, allowing them to last far longer than common roofing materials. Yes. Metal roofs can handle occasional light foot traffic, and aluminium roofs in particular which are much stronger, can handle even more. Yes, even embers falling or blown onto the roof will not ignite them and cause combustion. 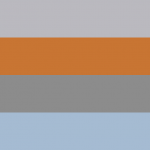 How does a metal roof hold up to high winds? Thanks to metal roofing panels’ construction and installation on buildings, they are highly resistant to wind damage. In severe weather areas it is always worth remembering to contact specialists with regard to this. 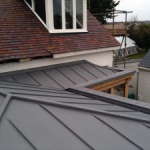 Here at JTC Roofing, we are a leading specialist metal roofing contractors in the UK. With years of experience in the industry, our expert team provide quality installations to a variety of properties at only the most competitive prices. Get in touch with our friendly team today to find out more. 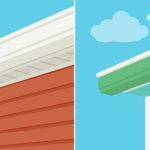 Plastic Roofing or Metal Roofing? Why Choose Metal Roofing Over Shingles?